Technological advances in the field of botany and horticulture have taken amazing leaps in just the last decade. By slightly altering the photosynthesis mechanisms of plants, horticulturists are able to take control of their biology and produce better crops faster and less costly. Another method horticulturists use to improve crop production is by refining the way they use various wavelengths of light delivered at different times of the day. LED lights are ideal for this latter technique, because they can be dialed in for anything you’re growing in a greenhouse environment. LED lights produce less heat, which means you can place them closer to plants without worrying if they will burn them. More selectable wavelengths offered by LED lights; offering flexibility and customization. Lower cost-of-use overall; Saving money is a HUGE advantage of using LED light systems. Longer life than incandescent lighting; Set them up and watch them last season after season. Compact and mobile; If your growing plans change, you can easily transport or breakdown your LED lights. Flexible design capabilities; Set them up horizontally or vertically, easily and quickly. More efficiency; Which means you’re getting more growth using less energy. If you’re skeptical about these “magical” lights, rest assured–there are tons of research backing all these claims. 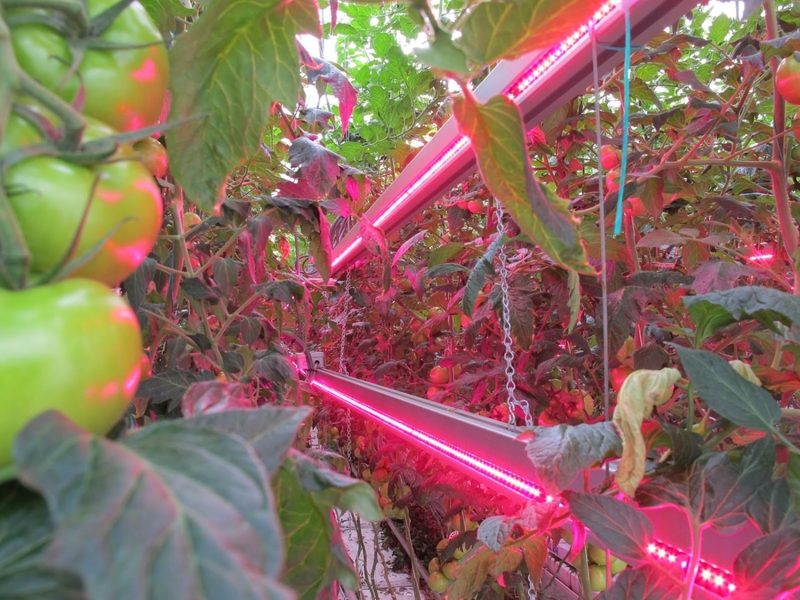 In one scenario, tomatoes grown using LED lights in the winter can significantly reduce greenhouse energy costs without sacrificing yield, according to a recent Purdue University study. The stated goal of this research was to reduce prices to the point where local growers could compete with the prices of tomatoes that are shipped from faraway places. Local tomatoes would be harvested vine ripe, would taste better and would boost local economies, in situations where greenhouse farmers used LED lights in greenhouses just like the ones designed and made by Agra Tech, Inc.
“The United States still imports one-third of its tomatoes from Mexico and Canada, as well as other countries,” the study explained. “This technology could allow U.S. growers to create local jobs that shrink carbon footprints and produce better-tasting tomatoes.” Future studies include comparing LED-lit tomatoes with traditionally grown tomatoes for flavor. This study is published in the journal HortTechnology and The Specialty Crop Initiative of the U.S. Department of Agriculture’s National Institute of Food and Agriculture funded the research. Now, the big question is—how do LED lights compare with incandescent lights and Compact Fluorescent Lights (CFL) price-wise? LED lights typically cost more than incandescent and CFL lights, but considering how infrequently you’ll have to replace them compared to the average lifetime of incandescent or CFL lights, the long-term savings is clear. LED lights have an average lifetime of 50,000 hours, while incandescent lights have 1,200 hours and CFLs have only 8,000 hours. The short answer to a long question is that incandescent and CFL lights are still a slightly better deal right now in the short term, but LED lights are dropping in price and the overall energy savings may soon trump the old incandescent and CFL lights across the board. As LED lighting progresses and growers learn how to manipulate it for best results, this emerging technology will greatly change greenhouse growing all over the planet. An LED Research Consortium was formed several years ago to provide insight into LED lighting. 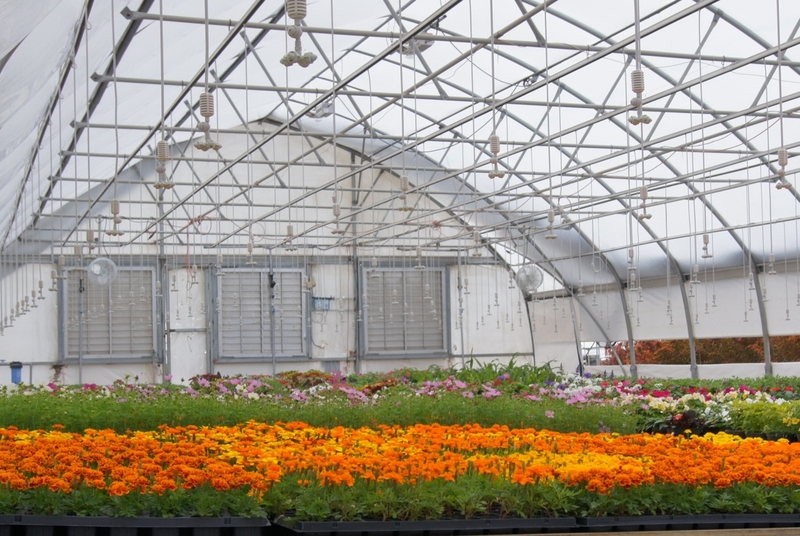 Michigan State University, Orbital Technologies, Inc., Rutgers University, University of Arizona and the aforementioned Purdue University are all on board to make LED lighting more prevalent in commercial greenhouses all over the world. If these growers can use LED lights to save money and energy while producing high-quality crops consistently, this method of lighting will make incandescent lights part of the distant past. And that’s why everyone at Agra Tech, Inc. is on the cutting edge of LED lighting, because if it can make better crops faster and save energy, we’re in it to win it!